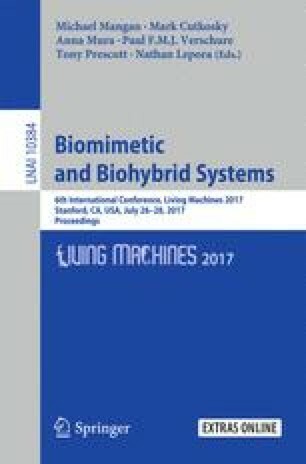 Social robots are becoming more sophisticated; in many cases they offer complex, autonomous interactions, responsive behaviors, and biomimetic appearances. These features may have significant impact on how people perceive and engage with robots; young children may be particularly influenced due to their developing ideas of agency. Young children are considered to hold naive beliefs of animacy and a tendency to mis-categorise moving objects as being alive but, with development, children can demonstrate a biological understanding of animacy. We experimentally explore the impact of children’s age and a humanoid’s movement on children’s perceptions of its animacy. Our humanoid’s behavior varied in apparent autonomy, from motionless, to manually operated, to covertly operated. Across conditions, younger children rated the robot as being significantly more person-like than older children did. We further found an interaction effect: younger children classified the robot as significantly more machine-like if they observed direct operation in contrast observing the motionless or apparently autonomous robot. Our findings replicate field results, supporting the modal model of the developmental trajectory for children’s understanding of animacy. We outline a program of research to both deepen the theoretical understanding of children’s animacy beliefs and develop robotic characters appropriate across key stages of child development. This work was supported by European Union Seventh Framework Programme (FP7-ICT-2013-10) under grant agreement no. 611971.